Below is a summary of the main ways in which poskim have tried to put the use of electricity, when it does not involve any other melakha (e.g., the turning on of incandescent lights, which would be considered a fire since it burns a piece of metal generating heat and light). The seventh explanation concedes that it does not fit into any technical category of a Rabbinic or Biblical violation and frames the problem in terms of tradition (or we might say, minhag, custom). 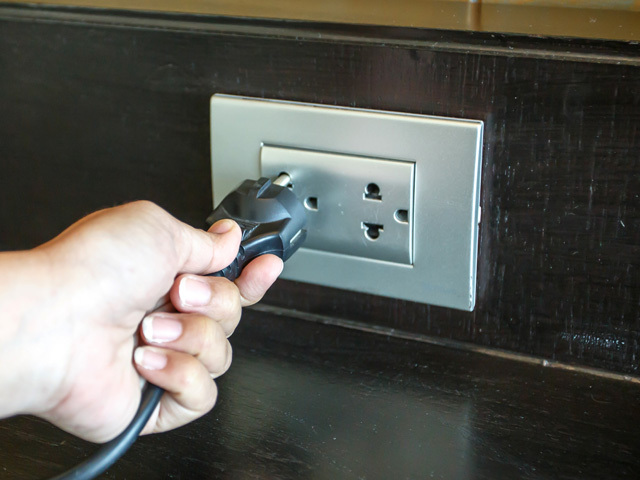 Why is it that we have such a strong intuition that we should not use electricity on Shabbat? In what ways does the use of electricity violate our sense of the nature or sanctity of the Shabbat day? 1. Turning on an appliance is analogous to creating something new (molid) which is prohibited on Shabbat. 2. Completion of a circuit is prohibited because it is a form of building (boneh). 7. The use of electricity without light or heat is actually permitted, but because observant Jews since the invention of electricity have maintained that it is prohibited to use electrical appliances on Shabbat, and rabbinic authorities approved of this stricture, it is prohibited to use such appliances – absent great need – because of tradition. Ramban understands that the Torah’s concept of “Shabbaton” mandates that we preserve the spirit of Shabbat. What emerges from this passage as central characteristics of the sanctity of Shabbat? In other words, according to this Ramban, how would you finish the following sentence: “Shabbat is a day in which we ____”? How does “Shabbaton” focus on a dimension of Shabbat that is different from that of the 39 melakhot? 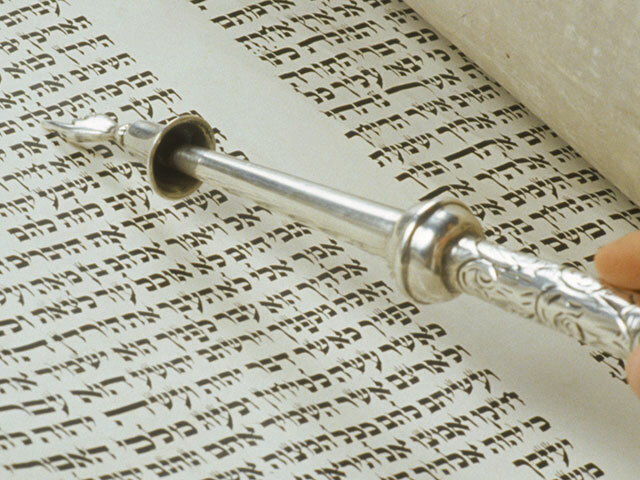 Can you think of any way that these two dimensions might be connected to the differences between the way in which the mitzvah of Shabbat is formulated in the first luchot and the second? And it appears to me that this [halakhic] midrash (that the rabbinic concept of שבות is actually biblically-based), tells us that we are commanded by the Torah that we should have a day of rest on Yom Tov even from those activities which are not מלאכה. Not that we should [refrain from technical מלאכה and yet] toil the entire day, measuring grain, weighing fruit, and filling the barrels with wine, and moving vessels and even stones from one house to another and from one place to another, and if the city were surrounded by a wall with the gates locked at night, people could even load up the donkeys, and even wine and grapes and figs and all manners of burdens (cf. Nehemia 13:15) they could bring on Yom Tov, and the market would be filled with all manners of buying and selling, and the stores would be open, and the storekeeper would be selling on credit, and the money-changers would be by their tables, with their golden coins piled in front of them, and the day-laborers would be rising early in the morning to their work, and hiring themselves out – it would become like a weekday regarding these matters and similar ones. Yom Tov, and even Shabbat itself, would become days free of restriction, for in all these matters there is no actual מלאכה being performed. It is for this reason that the Torah says שבתון – that it shall be a day of cessation and rest, not a day of toil. And this is a good and proper explanation. … The meaning of the word שבתון is thus: that it should be for us a day of rest from toil and labor, as we have explained… Behold, we have been proscribed by the Torah from doing מלאכה on Shabbat, by force of a negative prohibition, whose violation is punishable by כרת (divine excision) and execution (by the court), and proscribed from toil and exertion by force of this positive commandment. And it is on this basis that the prophet says: “[You shall honor it] not doing thine own ways, nor finding thine own pleasure, nor speaking thine own words” (Isa. 58:3). … All this is from the Torah, for Rabbinically one is not allowed to tell a non-Jew to do anything that he cannot do – that is, they were stringent even a regarding a shvut of a mere act of speech. Rambam focuses on the word “Shvut,” rather than “Shabbaton,” as directing us to an aspect of Shabbat that is not the 39 melakhot per se. What, for Rambam, is the scope of this concept? How much is it really distinct from the melakhot? Is his approach similar or different than Ramban’s? Rambam gives many reasons for why Hazal forbade the moving of muktzeh items. What concept of the nature/sanctity of Shabbat emerges from this explanation? In what way is this similar to or different from Ramban’s approach? [יב] אסרו חכמים לטלטל מקצת דברים בשבת כדרך שהוא עושה בחול, ומפני מה נגעו באיסור זה, אמרו ומה אם הזהירו נביאים וצוו שלא יהיה הילוכך בשבת כהילוכך בחול ולא שיחת השבת כשיחת החול שנאמר ודבר דבר קל וחומר שלא יהיה טלטול בשבת כטלטול בחול כדי שלא יהיה כיום חול בעיניו ויבוא להגביה ולתקן כלים מפינה לפינה או מבית לבית או להצניע אבנים וכיוצא בהן שהרי הוא בטל ויושב בביתו ויבקש דבר שיתעסק בו ונמצא שלא שבת ובטל הטעם שנאמר בתורה +דברים ה’+ למען ינוח. The Sages forbade the carrying of certain objects on the Sabbath in the same manner as [one carries] during the week. Why was this prohibition instituted? [Our Sages] said: If the prophets warned that the manner in which a person walks on the Sabbath should not resemble the manner in which he walks during the week, and similarly, one’s conversation on the Sabbath should not resemble one’s conversation during the week, as it is written, “[refraining from]… speaking about [mundane] matters,” surely the manner in which one carries on the Sabbath should not resemble the manner in which one carries during the week. Furthermore, when one searches for and carries articles that are used for a forbidden activity, it is possible that one will use them and thus be motivated to perform a [forbidden] labor. Shvut in the Mishnah – A Fence Around Melakhot or Preserving the Sanctity of Shabbat? 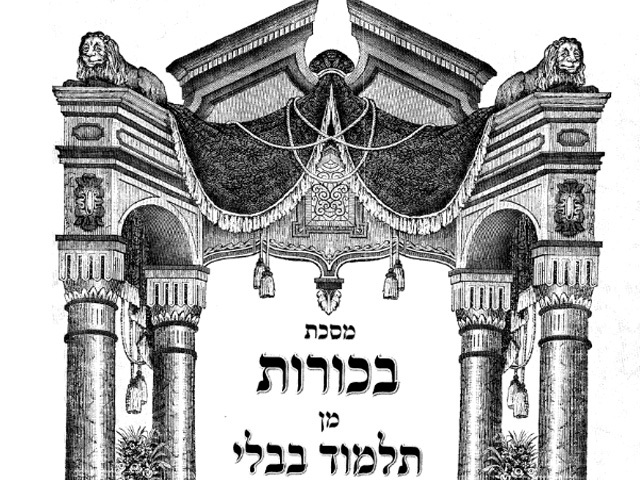 Whether shvut is about protecting against the 39 melakhot, as emerges from one passage of Rambam (21:1) or whether is about preserving the nature of Shabbat, can be seen in different interpretations of the Mishna in Beitzah which lists a number of activities as classic examples of “shvut.” Notice that the Gemara explains that all of these are to protect against the violation of a melakha, but the Tosefta implies that they may more be referring to professional activities – climbing a tree to gather the fruit, riding animals and crossing bodies of water to get to one’s work or to transport wares, and clapping and slapping to scare away birds. The first group – climbing, riding, etc. – may also be to preserve Shabbat as a day of staying put, and the last group – clapping and slapping – may also be related to preserving Shabbat as a day of quiet. גמרא. 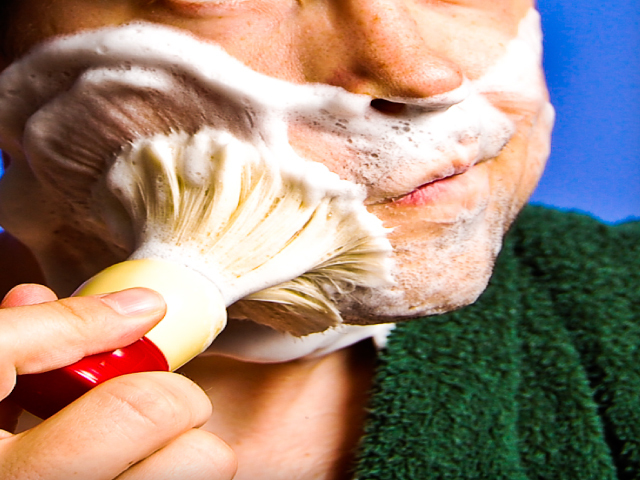 לא עולין באילן – גזרה שמא יתלוש. ולא רוכבין על גבי בהמה – גזרה שמא יצא חוץ לתחום. – שמע מינה תחומין דאורייתא? 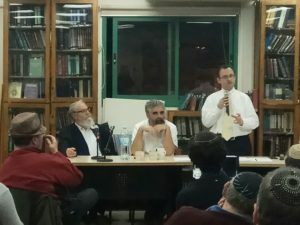 – אלא: גזרה שמא יחתוך זמורה. ולא שטין על פני המים – גזרה שמא יעשה חבית של שייטין. ולא מטפחין ולא מספקין ולא מרקדין – גזרה שמא יתקן כלי שיר. Gemara. One may not climb a tree: it is a preventive measure lest he pluck [fruit]. “Nor ride a beast”: it is a preventive measure lest he might go without the tehum. Then this proves that the law of tehum is Biblical? Rather say, it is a preventive measure lest he cut off a switch. “Nor swim in the water”: it is a preventive measure lest he might make a swimming device. “Nor clap the hands nor slap the thighs, nor dance”: it is a preventive measure lest he might repair musical instruments. המשמר זרעים מפני עופות ומקשאות מפני חיה משמר כדרכו בשבת ובלבד שלא יספק ולא ירקד ולא יטפיח כדרך שעושה בחול One who guards seeds from the birds, and melons from wild beasts, can guard them in the normal way on Shabbat, provided that he does not clap, nor dance, or slap his thighs, in the manner that he does during the week. The passages above suggest many ways to describe the way in which Shabbat is distinct from the weekdays. The abstention from melakha is a cessation of engaging in creative acts, reflecting the idea that God stopped creating on this day. But there are other aspects to the day – it is a day we don’t toil (“because you were slaves in the land of Egypt), a day we don’t do our normal professional activities, we stay put and don’t go out trying to acquire and take in; it is a day of quiet, free from busy-ness. Which of these dimensions – or what other dimensions – emerge from the following passages? And ask yourself- how does electricity and electronics challenge or violate some of these aspects of Shabbat? Nehemia speaks of the ways in which the people were violating the Shabbat. What activities is he primarily concerned about? Are these acts that would fall under the 39 melakhot? How would you describe the way in which these activities violated Shabbat / created a day that felt like the weekday? Do you see how Ramban’s description echoes many aspects of this passage? (10:32) And if the people of the land bring ware or any grain on the Sabbath day to sell, that we would not buy it of them on the Sabbath, or on the holy day: and that we would leave the seventh year, and the exaction of every debt. (14) Remember me, O my God, concerning this, and wipe not out my good deeds that I have done for the house of my God, and for the offices thereof. (15) In those days saw I in Judah some treading wine presses on the Sabbath, and bringing in sheaves, and lading asses; as also wine, grapes, and figs, and all manner of burdens, which they brought into Jerusalem on the Sabbath day: and I remonstrated them in the day wherein they sold food. (16) There dwelt men of Tyre also therein, which brought fish, and all manner of ware, and sold on the Sabbath unto the children of Judah, and in Jerusalem. (17) Then I contended with the nobles of Judah, and said unto them, What evil thing is this that ye do, and profane the Sabbath day? (18) Did not your fathers thus, and did not our God bring all this evil upon us, and upon this city? Yet ye bring more wrath upon Israel by profaning the Sabbath. (19) And it came to pass, that when the gates of Jerusalem began to be dark before the Sabbath, I commanded that the gates should be shut, and charged that they should not be opened till after the Sabbath: and some of my servants set I at the gates, that there should no burden be brought in on the Sabbath day. (20) So the merchants and sellers of all kind of ware lodged without Jerusalem once or twice. (21) Then I testified against them, and said unto them, Why lodge ye about the wall? If ye do so again, I will lay hands on you. From that time forth came they no more on the Sabbath. (22) And I commanded the Levites that they should cleanse themselves, and that they should come and keep the gates, to sanctify the Sabbath day. Remember me, O my God, concerning this also, and spare me according to the greatness of thy mercy. Another aspect of Shabbat is staying put and not going out and engaging the world – indicated by the commandment to not gather the manna. This idea is also echoed in the verse in Yeshayahu. In contrast, in the story in Melachim and elsewhere it emerges that people would specifically travel on Shabbat to visit the prophet or the Temple. This is a tension between two different aspects of the day of Shabbat – a day of rest and staying put or a day of focusing on the religious and the spiritual, which might require travelling and exertion. אִם תָּשִׁיב מִשַּׁבָּת רַגְלֶךָ עֲשׂוֹת חֲפָצֶיךָ בְּיוֹם קָדְשִׁי וְקָרָאתָ לַשַּׁבָּת עֹנֶג לִקְדוֹשׁ ה’ מְכֻבָּד וְכִבַּדְתּוֹ מֵעֲשׂוֹת דְּרָכֶיךָ מִמְּצוֹא חֶפְצְךָ וְדַבֵּר דָּבָר: If thou turn away thy foot from the Sabbath, from doing thy pleasure on my holy day; and call the Sabbath a delight, the holy of the Lord, honorable; and shalt honor him, not doing thine own ways, nor finding thine own pleasure, nor speaking thine own words. וַיֹּאמֶר מַדּוּעַ אתי אַתְּ הלכתי הֹלֶכֶת אֵלָיו הַיּוֹם לֹא־חֹדֶשׁ וְלֹא שַׁבָּת וַתֹּאמֶר שָׁלוֹם: And he said, Wherefore wilt thou go to him to day? It is neither new moon, nor Sabbath. And she said, It shall be well. Now that we’ve given some thought to various ways to define the character of Shabbat, look at the op-ed below which lauds the way in which Shabbat allows a person to unplug and free themselves from electronic devices. Which aspects of Shabbat does this address? Does this help to explain why all use of electricity is forbidden on Shabbat? The Fourth Commandment doesn’t specifically mention TweetDeck or Facebook. Observing the Sabbath 3,000 years ago was more about rest and going easy on one’s family — servants and oxen included. 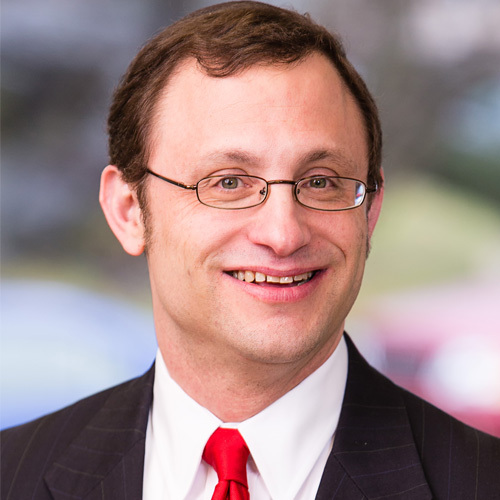 “As a rabbi, and as a contemporary American, never before in my life has there been such an awareness of the way that technology and contemporary culture have a tug at every aspect of our being,” Rabbi Cosgrove said. “I don’t think we’re aware of the manner in which technological innovation is changing the way we think and read, the way we process information, the way we engage in relationships with meaning.” Unplugging for a day was “a powerful action in the face of a fast-paced way of living,” he added. The focus on the sanctity of Shabbat absent any technical halakhic category on the one hand speaks to the very core Shabbat experience, but on the other hand is not always treated with sufficient weight because of the absence of a sense of halakhic violation. Interestingly, in two places the Rabbis use the term chilul Shabbat to refer to activities which are not so much as violations of Rabbinic prohibitions, but rather that undermine the very nature and quality of the day. It is worth noting that the term chilul suggests both ‘violation,’ and chol, that is ‘weekday’ It is these acts that turn the Shabbat into a weekday experience. This might be a powerful way to express what it means to use electricity on Shabbat – it creates, or is, a “chilul Shabbat”. In these two examples of the violating of the character of the day, note that one relates to Shabbat as a day of quiet, and the other relates to it as a day of rest and taking things slow – two concepts closely related to one another. The last passage, from Brakhot, is of particular interest, in that this aspect of Shabbat came in conflict with another aspect – Shabbat as a day of religious pursuit (remember the discussion about regarding travelling on Shabbat to visit a prophet or go to the Temple). In the end, Shabbat as a religious day is given more – or at least equal – weight. These two approaches can be seen by the different way of reading the word שבת as a mnemonic – שינה בשבת תענוג or שינון בשבת תענוג – sleeping is a delight on Shabbat or learning is a delight on Shabbat (see Yerushalmi Shabbat 15:3). The answer might depend on the person. This raises the question of how helpful it would be to frame the use of electricity in terms of the character of Shabbat, if one could imagine circumstances under which, at least for some people, its use may enhance certain aspects of the Shabbat. This is one of the benefits of placing it in a technical halakhic category – it becomes an absolute community norm, not to be assessed based on context, and this allows for a powerful shared Shabbat experience for all. עולא איקלע לבי רב מנשה, אתא ההוא גברא טרף אבבא. אמר: מאן האי? ליתחל גופיה דקא מחיל ליה לשבתא. Ula once happened to visit the house of Rav Menashe. A certain man came and knocked on the door [on Shabbat]. He (Ula) said: Who is this? Let his body be desecrated, for he desecrated the Shabbat. אמר רבי זירא: מריש כי הוה חזינא להו לרבנן דקא רהטי לפרקא בשבתא, אמינא: קא מחליין רבנן שבתא. כיון דשמענא להא דרבי תנחום אמר רבי יהושע בן לוי: לעולם ירוץ אדם לדבר הלכה ואפילו בשבת, שנאמר אחרי ה’ ילכו כאריה ישאג וגו’ – אנא נמי רהיטנא. R. Zera says: At first when I saw the scholars running to the lecture on a Sabbath day, I thought that they were desecrating the Sabbath. But since I have heard the saying of R. Tanhum in the name of R. Joshua b. Levi: A man should always, even on a Sabbath, run to listen to the word of Halachah, as it is said: “They shall walk after the Lord, who shall roar like a lion,” I also run. Excursus – Melakha – Creative Acts or Professional Activities? 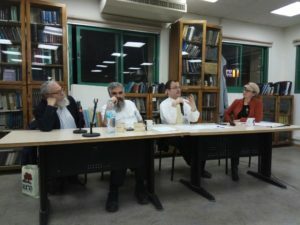 Until now, we have been assuming that melakhot are about creative acts and that aspects of the Shabbat distinct from such acts relate to the sanctity of Shabbat, but are not what the melakhot are about. This may not be the case. These are some sources that indicate that the melakhot are about professional or societal-building activities, and not – or not just – creative acts. Rav Hirsch focuses on the etymology of the word melakha, and sees that it refers only to tasks or creative activities. This strengthens the Tradition’s understanding of what constitutes a Biblical violation of Shabbat. At the same time ,it seems to deny other aspects – such as laborious acts – that might be included in this concept. [T]he idea מלאכה in no way entails the idea of strenuous physical labor. It occurs nearly two hundred times in the Scriptures, and in no single instance does the word itself indicate strenuous work, just as the slave-work in Egypt is never called מלאכה. But everywhere the essential idea of the word מלאכה seems to be – as indeed its etymological derivation from מלאך [angel, messenger, someone assigned a task] has told us – not the greater or lesser amount of bodily fatigue but the intelligent carrying out of an intention. So that, even if we knew nothing of the oral traditional explanation, simply from the actual meaning of the word… we should say לא תעשה כל מלאכה means “thou shalt not perform any constructive work.”… in general, thou shalt not produce, not construct! The Mishna’s list of the 39 melakhot is often understood to be a listing of the activities done in the construction of the Mishkan. But the grouping suggests a different way of looking at these acts – as classic professional, or craft-based, activities, particularly those that are the basis of survival and civilization – producing food (framing, leading to the growing of wheat and the baking of bread); the making of clothing (including the making of wool); writing (the making of parchment); housing; fire; and transportation of goods. This suggests a different way of thinking about what the melakhot are about – not so much creative activity, but more professional and society building activities. Carrying out from one domain to another. These are the forty primary melakhot less one. See how Yeraim and Yerushalmi also move away from the classic “Mishkan / creative activity” model. Yeraim does not explicate what exactly the underlying concept of melakha is, but he definitely gives Hazal a lot of latitude in defining it, and it seems that it has a strong societal component – by looking at the various activities that were done, Hazal were able to identify which ones were the most important or the most avodah-like. וראו חכמים אלו המלאכות הדומות עבודה הדומה היא נקראת מלאכה דכתיב מלאכת עבודה לא תעשו ואמרינן אלו הן שהקפידה התורה עליהן כי לא מסרן הכתוב אלא לחכמים ואלו ראויות לקרוא מלאכה. [According to this latter approach,] the Sages assessed which acts of work are similar to labor/toil (avodah). One that were similar [to an act of avodah] is defined as a melakha, as the verse states, “melekhet avodah, laborious work, you shall not do.” (Vayikra 23:7 and elsewhere), and they said that it was these that the Torah prohibited. For the Torah gave this [the designation of what constitutes a melakha] over to the Sages, and it was these [that they deemed] which were fit to be called melakha. 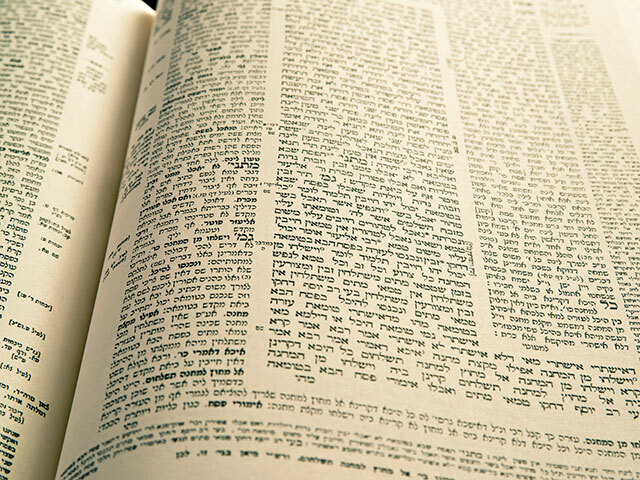 The first passage in Yerushalmi echoes Yereim in that it shows that Hazal did not always simply deduce the melakhot from the categories or from some abstract definition, but at times they started with an intuition that something had to be a melakha and then worked backwards to find a category to put it in. The catch-all category was makeh bi’patish, presumably reflecting the general approach that melakhot are about creative activity. It is important to note that this working backwards approach seems to be what happened with electricity – a starting with an understanding that it must be forbidden because it so clearly violates the spirit of Shabbat, and then a searching for the proper category to put it in. This comparison appears in a teshuva by Rav Asher Weiss on the halakhic status of electricity on Shabbat. The second passage – that squeezing was defined as its own melakha by dyers – reflects the idea that melakhot are more profession-oriented activities, or at least that that is one way of defining them. Rambam in one place (Shabbat 10:17) actually defines makhe bi’patish in this way, thus bringing the tow passages together. תני רבי ישמעאל בנו של רבי יוחנן בן ברוקה אומר הצבעים שבירושלם היו עושין סחיטה מלאכה בפני עצמה Rabbi Yochanan and Rabbi Shimon ben Lakish spent 3 ½ years learning this chapter [of the melakhot of Shabbat]. They were able to derive 39 subcategories for each melakha. Ones that they could find support for, they supported [placed in the appropriate category]. Ones that they could not find support for, they placed them in the category of makeh bi’patish [the final hammer blow].